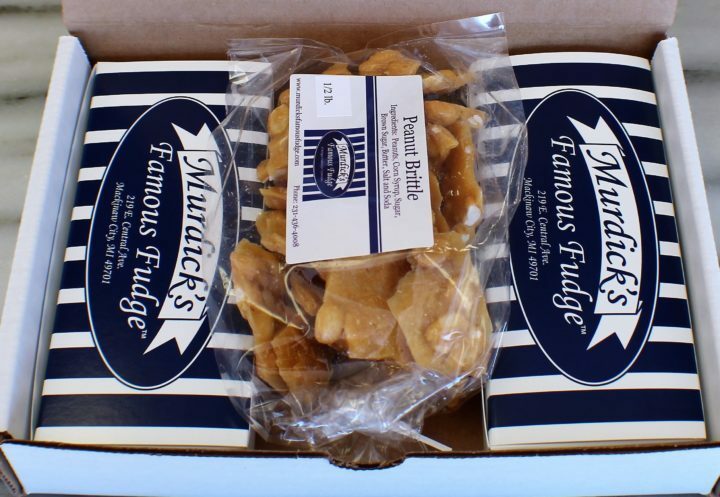 This Gift box contains a half pound of butter peanut brittle made right at Murdick’s Famous Fudge shop. 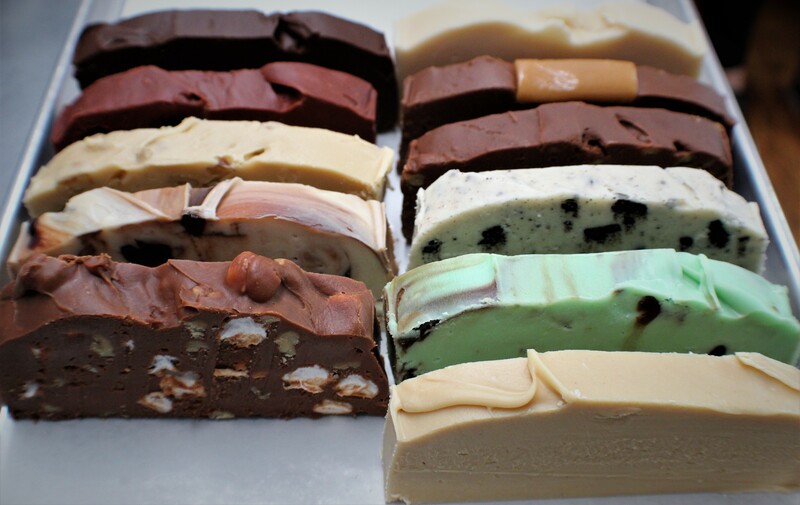 Choose from 12 flavors of fudge to complete your personalized treat box. 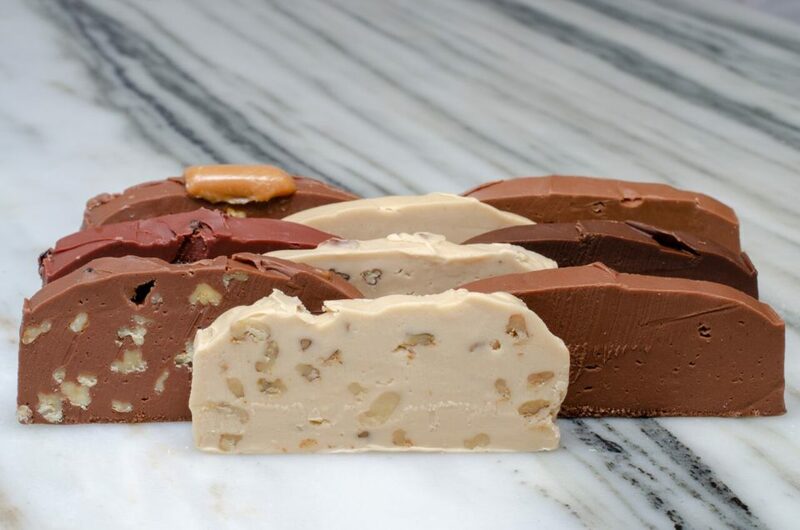 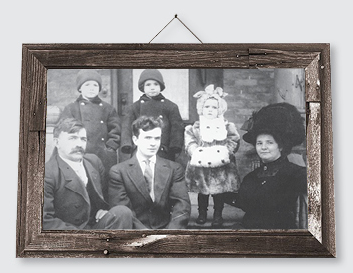 The Murdicks are famous for making creamy, delightful fudge– made right in our store in Mackinaw City. 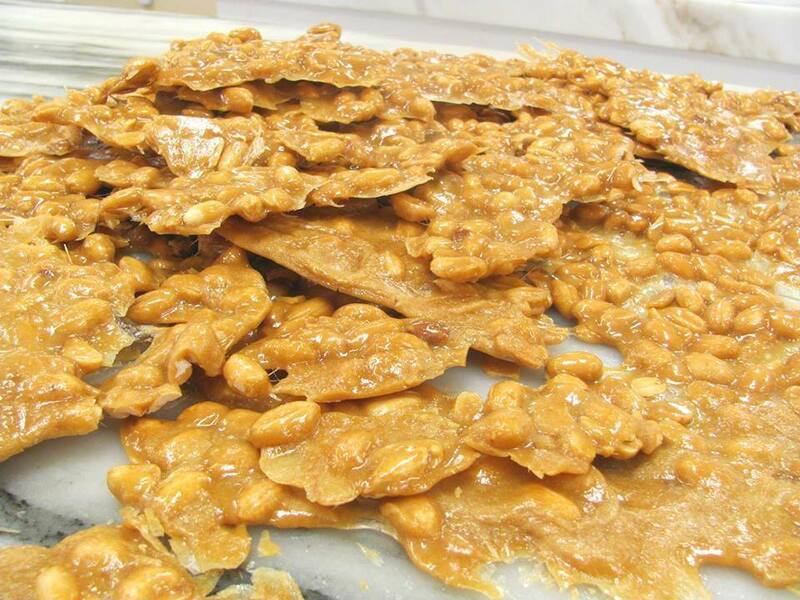 We cook our fudge in copper kettles, and cool it on marble slabs, just as our ancestors did on Mackinac Island in 1887. 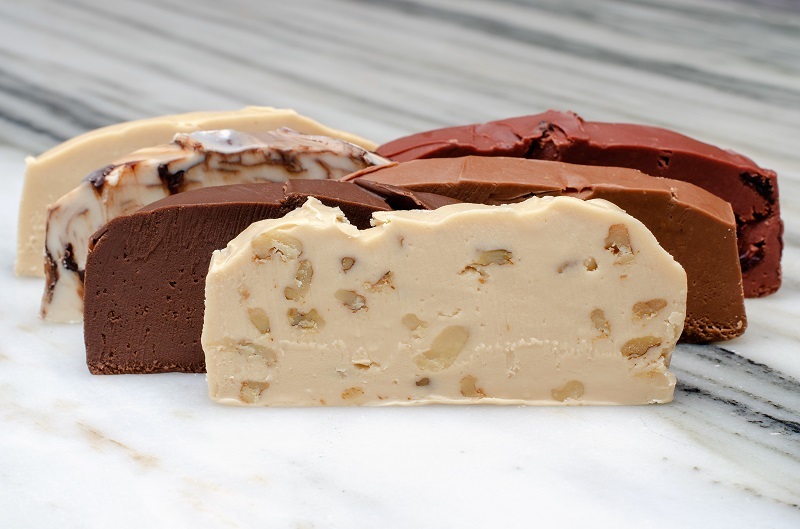 Our fudge contains no preservatives. 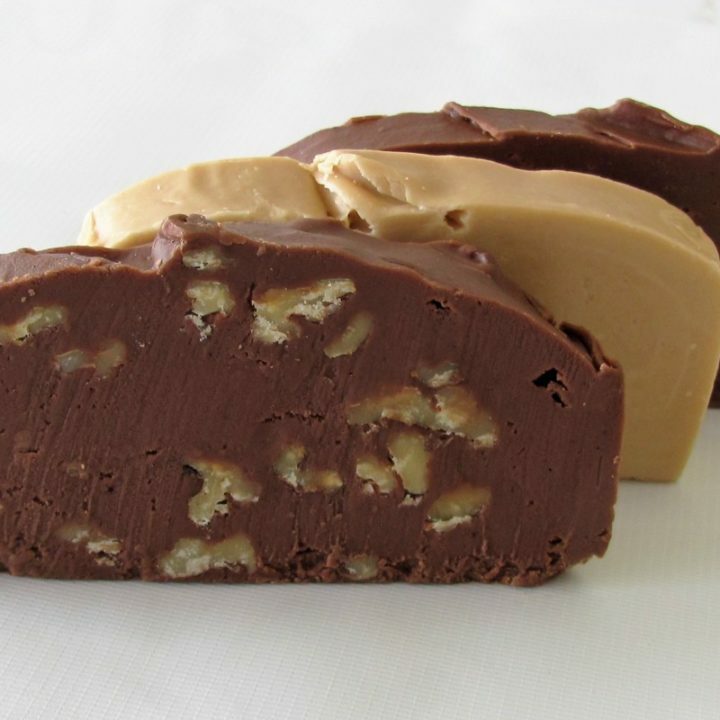 This fudge is gluten-free, transfat-free. 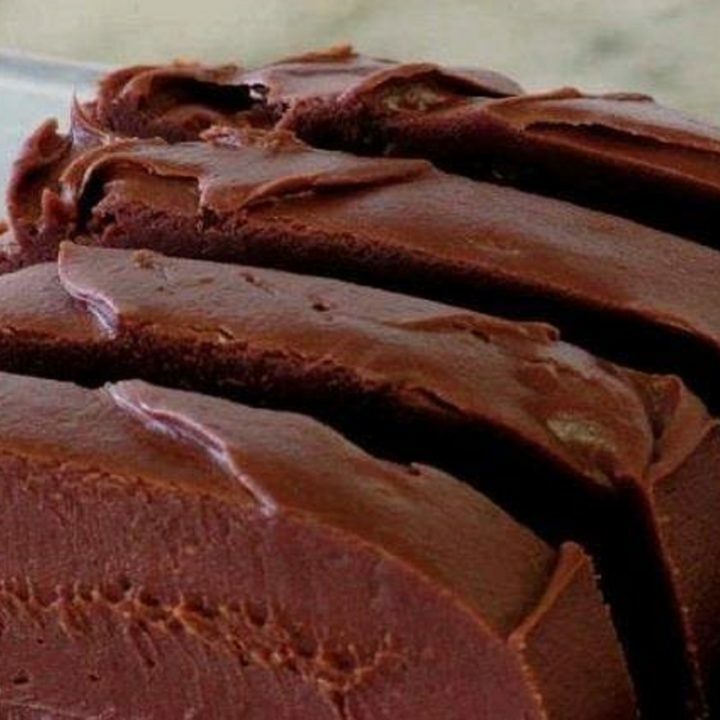 We use fresh cream, real butter and the finest of 100% pure Belgian chocolate.